For any player to maintain and excel in a game, it is very important that he or she has the best equipment available. Especially in a game like a tennis that requires a lot of running and jumping, tennis apparels and tennis shoes play a vital role. This is because of the continuous movement all across the tennis court that can be ensured only with a comfortable and proper pair of shoes. Thus, a player has to be very specific while choosing their footwear and often go for the best tennis shoe's available. 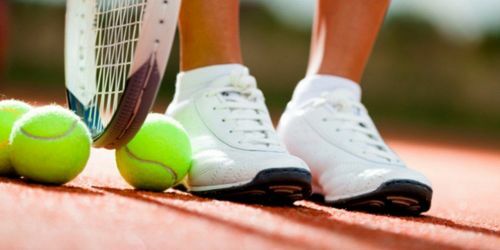 While choosing the best pair of tennis shoes, the court surface the match is played on, the foot type of the player, comfort of the shoe, the grip that the footwear and the price tag are some of the key features that needs to be kept in mind. Some other characteristics of tennis shoes that a player generally demands are stability, durability, breathability, and lightweight. A game of tennis is all about running, thus it is very important to keep in mind comfort while buying shoes. Different soles and in-soles provide different types of grip. A good grip is required while playing any sport because if a shoe does not provide the grip and comfort, it affects the performance of the player. A bad shoe might lead to injuries such as a broken nail even an injured toe and sometimes serious injuries like a ligament tear. Keeping the other features that must be available in tennis shoe in mind, one must decide which shoe is best for his requirements and also does not burn a hole in the pocket. 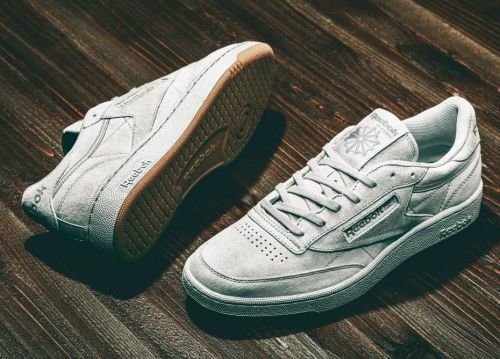 Some of the features of Reebok Men’s Club 85 Tg Tennis Shoes that make it on the top of the list is that is has a padded collar and tongue that provides extra comfort. In addition, it has breathable and antimicrobial inner lining textile that fights sweat and bad smell along with its clean and classic look.